We brought this product years ago for our cat. However our new puppy loves it so much we had to order another set. She unraveled the ball so we needed to replace it. Thank you for still carrying his product. My cats are house cats. They are not allowed outside. I wanted to get them toys to help them burn up some energy and sleep at night. I have cats and they like to play. These looked like they might have fun with them. Have two kittens. Need toys. I chose this for my cat because he has his claws and I think he will enjoy the coating on these, he can grab them easily with his claws. My cats love toys like this and they seem too big to get lost under furniture. 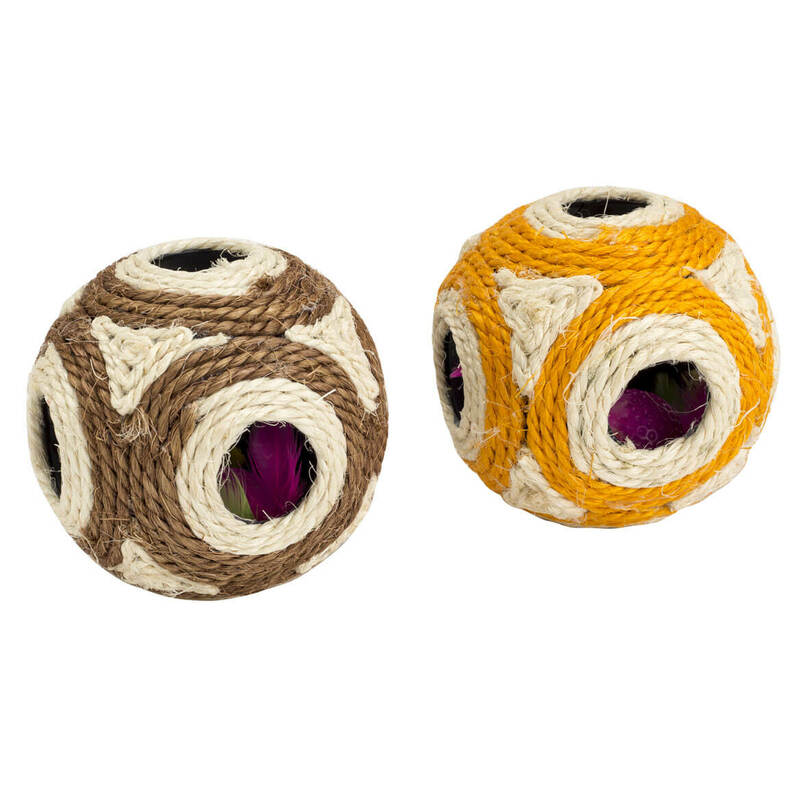 Always looking for new toys to keep cats occupied & happy. My cats needs new toys. My cat loves toys that have a bit of extra fun to them. 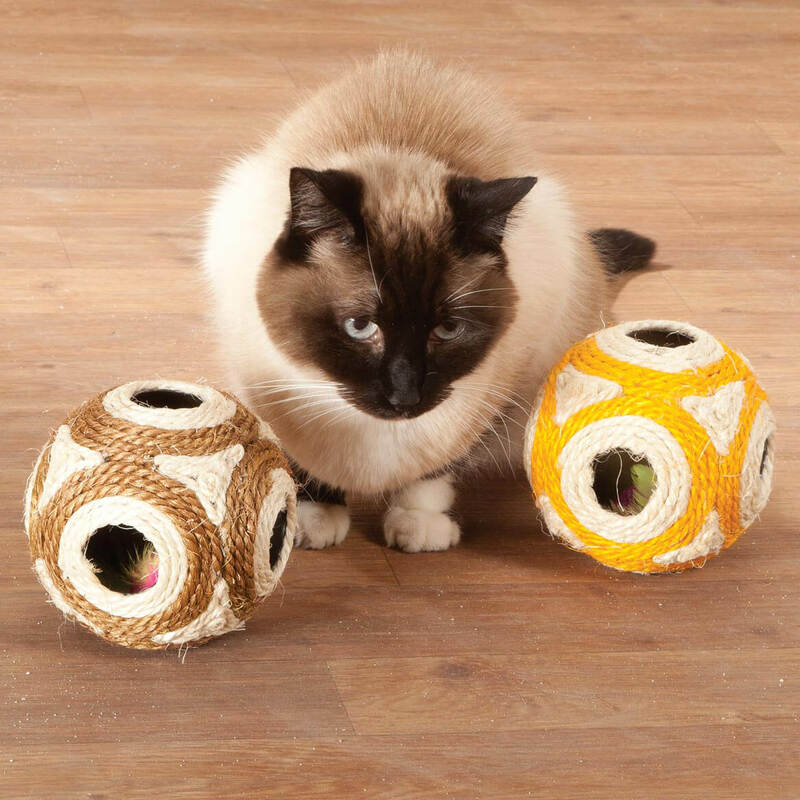 Our cat named Precious loves balls, will love this one, especially with moving items inside! My cay likes batting things around the room, so these should be a fun treat for her. Have purchased in the past for cats. However, our grandpuppy loved them. This order is for her!